IronSocket is a Hong Kong-based Virtual Private Network (VPN) service. It also offers Smart Domain Name System (DNS) and proxy services to its customers at no extra charge. The service started in 2005 under the name of HideMyNet. The brand changed to IronSocket in 2013. The company prioritizes service to torrenters and has a selection of servers where it allows peer-to-peer (P2P) downloading. IronSocket subscribers get a choice of protocols that they can use to hide their identity. The IronSocket server network includes locations in 40 countries. Many of the countries listed have more than one server location. There are 11 server sites in the US. I conducted speed tests for IronSocket using OpenVPN over UDP. In each case, I performed five test runs with testmy.net from a location in the Caribbean. The US tests were made to a server in Miami and the UK tests went to a server in London. I used IPLocation.net to test the actual location of the IronSocket VPN servers that I accessed. I used the IronSocket US East Coast server, which IPLocation reported as being in New York. The report into the location of the IronSocket server in Canada was a little confusing. IPLocation reports the locations detected by five different sources. One of these identified the server location as being in Milan, Italy. Another thought that the server was in Moultrie, Georgia, in the US. The other three identified the server's location as Vancouver, Canada. The IPLocation reports on the location of the IronSocket UK VPN server consistently located it in London's Canary Wharf. The graphs show highest, lowest, and average speeds for each server and location. See our full speed test explanation for more detail. My local internet service isn't great. Average download speeds of 3 Mbps are lousy in this day and age. Your home connection is probably a lot faster. However, when you go on vacation you may face such slow speeds. The speed of 3 Mbps is important, because HBO recommends a connection throughput of at least 3 Mbps in order to watch HD streaming video comfortably. It also states that you need at least 2 Mbps to watch SD streaming video. Without a VPN, my local service would be good enough to watch US shows over the internet. The only problem is that video servers don't allow access to their content from overseas. The IronSocket US East Coast and Canadian servers dragged down the transfer speeds to the point where HD video playback would stutter and pause for buffering. However, these speeds are good enough to watch SD streaming video. The IronSocket London server had very variable performance, exceeding and undercutting the speeds on the underlying connection from test to test. The average speed of the UK VPN tests was lower than the lowest speed encountered in the five test connections to London without the VPN turned on. I reconnected to the IronSocket East Coast location to continue testing. This time, IPLocation reports placed this server in Miami. Tests found no IP leaks, DNS leaks, or Web Real-Time Communication (WebRTC) disclosures. Tests consistently showed my location as Miami in the US, using a DNS server in the same location (I was actually in the Dominican Republic). I performed the tests with ipleak.net to check DNS leaks and the WebRTC bug. Strangely, the site reported WebRTC leaks that indicated that I was in the UK. The test site doileak.net is particularly keen on WebRTC leaks, but that site couldn't detect my actual location. However, it detected my location as being in the Netherlands. If US streaming services picked up that information while I was connected to this VPN server, they would block me from watching videos. Despite that, before ending the session I checked at ABC.com, which has very strong VPN detection systems, and it let me watch a video. My ISP doesn't use IPv6 addresses, so I was unable to test for IPv6 leaks. IronSocket offers a single package that you can subscribe to for different periods. The cost per month of the service works out cheaper if you take out a longer subscription. However, you have to pay for the entire subscription up front. You can pay for IronSocket with a credit card, PayPal, Bitcoin, or store gift cards. IronSocket is based in Hong Kong. It has a reputation for protecting torrenters and it keeps no activity logs. However, it does keep connection logs. The problem with this is that the sites you visit and the systems you participate in can see the IP address that the VPN company has allocated to you. If the VPN company has a record of when you were using the service and records your real IP address, lawyers and law enforcement agencies could get a court order to seize that information. Once they have your real IP address, they can trace you to your door through your Internet Service Provider (ISP), which keeps logs on your activities. The retention of connection logs is a weak point in IronSocket's privacy procedures. The company flags some of its servers as suitable for P2P downloading. It warns users not to download with torrents on others. IronSocket offers Open VPN over User Datagram Protocol (UDP) or Transmission Control Protocol (TCP), L2TP/Internet Protocol Security (IPSec), and PPTP. The OpenVPN implementation uses Advanced Encryption Standard (AES) 256-bit encryption with SHA256 message authentication and 4096-bit RSA encryption for session establishment. IronSocket's L2TP option also uses AES encryption with a 256-bit key. This is exceptionally strong encryption for the L2TP system. Usually, L2TP uses 128-bit encryption and is a better option for mobile devices (where AES encryption can drain the battery). The IronSocket website isn't as slick as those of its major competitors. It could do with a redesign. Access to the client area is via a button at the top right of the screen. Other navigation of the site is via the menu bar at the top. This menu isn't fixed, so you lose it as you scroll down the page. IronSocket's support pages aren't very sophisticated. There's an FAQ page, which does contain very useful information. Other sections of the Help Center include installation guides and a link through to a server listing. The simple web-form in this page is your main means of accessing the support team. In order to subscribe to IronSocket, click on Pricing in the menu bar, or on one of the "Get Started" buttons that are scattered around the main page of the site. Click on "Order Now" below the description of your preferred subscription period. To get an account, you just need to enter an email address and make up your own password. The email address should be a real one because this is where IronSocket will send your login details. If you don't want IronSocket to know your regular address, just set up and use a free webmail account. If you really don't want any email link between you and the VPN, you could get away with it because once your account is paid for, you can get your login details from the client area of the site. The email that you get when you pay for the service doesn't actually contain the credentials. Instead, it contains a link to the page in the client area that displays those details. The basic package gives you an allowance of three simultaneous connections. You can increase this up to eight for an extra fee. After you choose your payment method, an overlay gives you the option of signing up one time for your chosen payment period or setting up a repeat payment to keep the subscription renewing. After IronSocket has processed your payment, it will redirect you to the client area. It will log you in automatically. This page has links to the downloads and installation instructions for the company's VPN, HTTP proxy, and Smart DNS services. Over in your inbox, you should find two emails from IronSocket. The second of these has the subject line "IronSocket VPN Login Information - Important." There are no prizes for guessing the contents of this email. The password you set up when you opened your account, together with your email address, get you into the website's client area. In order to log in to the VPN, you'll need the generated username and password in the email. IronSocket doesn't have its own app. Instead, it directs users to download the OpenVPN Connect app. The organization that manages the OpenVPN protocol produces this. This is not necessarily a bad thing. OpenVPN Connect gets you direct access to the definitive OpenVPN service. Many VPN companies use this interface, so IronSocket is not being uniquely sloppy. However, it has missed out on a big branding opportunity. Once you have the OpenVPN client on your computer, you can easily hop from one VPN service to another (with subscriptions). Thus IronSocket is not tying in its customers with familiarity. After installing the app, it will start up. You won't see anything on your screen. Instead, click the up arrow in your system tray to look at the icons of active programs. The symbol that looks like a keyhole is the OpenVPN Connect app. Clicking on the OpenVPN icon doesn't open up an app. The icon IS the app. When you click on it, you get a pop-up menu. This details the controls of the VPN client. You'll notice that there are no servers to connect to. The downside of using this generic interface is that it isn't set up specifically for IronSocket. You have to go back to the server list to download a connection definition for each server that you might want to connect to. This is a very laborious task. It's one of the reasons that the top VPN providers don't rely on the OpenVPN interface, but invest in their own apps. Click on the "Get Profile" button to download the files you need to connect to a specific server. It's a shame that IronSocket hasn't bundled all of these profiles into one download file. It would be a lot easier to set up the service if they could organize that facility. As things stand, if you want to activate your access to all of the VPN servers, you have a lot of work to do. If you really don't have the time, just install the profiles for the locations that you know for sure that you will use. For this review, I definitely needed to get the Miami, Canada, and UK servers running, so I just downloaded those. After clicking on a profile download file, you get a pop up message. Click on the "Download Now" button on this. Once the configuration file is on your computer, you need to move it. Click on the OpenVPN icon in your system tray and select Import from the menu that appears. Select "From local file" and locate the config file in your default download directory. Click on Open in the file interface to load in the definition. When you've followed the instructions to load in server definitions, you'll see your connection options. Click on the OpenVPN Connect icon again to see the server list. You can now connect. You can also change your username and password in the website's client area to make them something more memorable. The first time you access a server, you have to enter your username and password. The login screens remember your username for subsequent visits. However, you have to enter your password every time you log in to a server. The first time you access each server, you receive a warning message. This warning doesn't appear on subsequent connections to that server. Once you've established the connection, a system message will notify you. In addition, the OpenVPN Connect icon changes to show a tick. When the top VPN companies create their own apps, they build in extra security features such as a kill switch or automatic WiFi protection. IronSocket can't offer these services because it hasn't invested in its own controlling software. I connected to the East Coast US server and tested access to Netflix USA, ABC.com, and NBC.com and I got into all of them. I then connected to the UK VPN and tried out Netflix UK, BBC iPlayer, the ITV Hub, and the Channel 4 website. In every case, IronSocket got me in and I was able to watch videos. If you worry that might want access to a site that IronSocket can't get into, you can check out a list on the site that shows the channels that the company is confident that it can get into. You can't get access to this page until you've subscribed. However, you can look at a screenshot of the page here to see whether your favorite video services are included. You can install the IronSocket VPN on Windows, Mac OS X, macOS, Android, iOS, and Blackberry operating systems. You can also install the VPN on routers, games consoles, set-top boxes, and smart TVs. IronSocket has a fantastic ability to get into just about any video streaming service in the countries where it has servers. The SOCKS5 proxy, Smart DNS, and HTTP proxy services are interesting extras that you get to play around with for free once you subscribe to the VPN service. You might find the allowance of only three simultaneous connections restrictive. However, IronSocket allows you to buy an extra allowance, expanding your number of simultaneous connections up to eight, which should be more than enough for a family. If IronSocket redesigned its website and produced its own self-installing app, I would rank this as one of the five best VPNs in the world. As it is, the points scored by the service's technical capabilities are dragged down by the difficulty of installing the app. I think they have developed their own app now, at least for Windows. Hi Mona, Thanks for letting us know. We can't update every review with every improvement every VPN makes to their service. Reviews can only be accurate at the time they are written (which is why we always show publish dates). We will, of course, look at the app when we next re-review this service. They steal money from credit cards. Wherever I use them for shopping I end up with calls from bank about suspicious activities on my card. Had to cancel account with them and dispute charges they made which took me many long calls to my bank, they wasted so much of my time. Support is terrible, do not buy annual subscription from them, they seem nice at first but when your subscription nears the end they will begin to ignore your messages. Please note that an almost identical comment was posted at roughly the same time but using a different name and email address. sorry about that Douglas, could be my cousin posted preliminary version, we share account and experienced same problems with Ironsocket. Wanted to add Ironsocket tracks users, publishes their details, hijacks DNSes and uses Leasweb which is known for many scandals sending user's data to various GOs. This can be verified when you check their Netherlands servers, Leasweb is actually used by them on other countries servers also. I think this should be clearly mentioned in your review Ironsocket does not offer any protection of users privacy nor identity which they claim they do on their webpages, for example: "IRONSOCKET VPN KEEPS YOU SAFE, PRIVATE AND FREE" "Ultimate VPN Security Ultimate VPN Security Protect Your Privacy and Identity"
Hi Brad, These are serious allegations that do not match my experiences with or knowledge about IronSocket (and I have worked in this industry for the last 5 years). What evidence do you have for any of them? The fact that it might use Leaseweb severs (I haven't checked whether this is true) is not really here nor there. As I explain in 5 Best No Logs VPNs, even compromised server centers do not pose a major privacy risk to VPN users. If you can provide any evidence that IronSocket "tracks users, publishes their details, hijacks DNSes," then I will be happy to review it. I have screenshot showing Ironsocket tracked users and published their details, but please understand it is not kind of evidence I can make public because by doing so I might be accused of very same Ironsocket shameful practices. It is similar issue when journalists deny to reveal their sources, whistle-blowers, etc. However Leaseweb scandal court documents are public, you can read for example at: https://helpdesk.privateinternetaccess.com/hc/en-us/articles/115000488451-What-happened-to-your-servers-in-Germany- Thus continued use of Leaseweb supports claim Ironsocket became accomplice in violating users' privacy and identity. To see how Ironsocket hijacks DNSes you would need to use their services to see for yourself, then open non existing site, any torrent site will do (no need pull any torrent file, they just block on keyword "torrent") , gosh they even block public domain sites like soundbible.com. Or .. try to configure own DNS and you will notice you will be redirected to Ironsocket DNS. Hi Brad, Thanks. The link you sent doesn't work for me, but I have used it to track down this article, which I think explains the situation. To quote: "In 2008 Leaseweb allowed Russian and Dutch authorities to perform deep packet inspection on customers’ traffic. The target of this snooping was specifically unencrypted ICQ messenger traffic, which is very specific. Because PIA encrypts all communication from customers, and because all traffic from users going to a server is mixed together, the techniques used by law enforcement from The Netherlands and Russia were not capable of monitoring PIA users’ traffic. There is no risk that PIA users’ traffic was monitored because of this court order, even if a PIA user was the intended target." Aside from the fact that this incident happened 10 years ago, I agree that it appears LeaseWeb is poor choice of server provider on IronSocket's part. But, as with PIA, if the VPN server is setup correctly (strong VPN encryption, encrypted hard drives, using shared IPs etc. ), this should not matter. As for your screenshot - you must make your own decisions, but I hope you understand that I cannot act on a serious allegation on the simple say-so of an anonymous internet source. Fwiw, it is common to redirect OS's DNS settings through the VPN to help prevent DNS leaks (but these should be reset when you quit the VPN app). Hi All, I would like to add a post script to this report and also answer all the comments here that talk about the attitude of the customer support staff at Ironsocket. My overall impression of this VPN service was that it has a fantastic ability to get around regional restrictions on video streaming services. So, I felt a little sheepish about asking for my money back. I didn't give any reason for my refund request. I just plainly stated that I wanted my money back. I got a response asking me for feedback. I explained that I live in a country with very slow internet service and the added impairment of the VPN made any video I was able to access impossible to watch -- which, actually was true. I got an immediate reply sympathizing with my situation and shortly afterwards my refund arrived in my PayPal account. In all of my dealings with the customer service team, including my divorce from them, I experience courteous and professional service. I think that the company has paid attention to the criticisms of the bad attitude of its support staff and has fixed that problem. 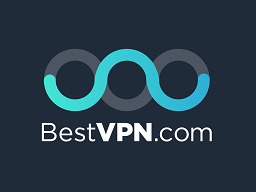 To conclude, I think that this is one of the best VPNs in the world and if you find that you don't want it, this is one of the easiest VPNs to get a refund from.